I’m just back from a remarkable month on the Cook Islands. No, I’d never heard of them either. They are a collection of fifteen tiny dots in the Pacific, about four hours flight from Fiji. Remote doesn’t quite do them justice. They are amazing islands though. Hot, sunny, lazy and with just enough scarce regional specialities to keep me happy. Having said that, they are rather short on landbirds – just six endemics. No doubt there used to be a few more that were eaten into extinction long ago. The main island, Rarotonga, is stunningly beautiful if a bit bleak for the birder. The only species you are likely to see outside the mountains are Common Myna – which have reached plague proportions – and, erm, Red Jungle Fowl. 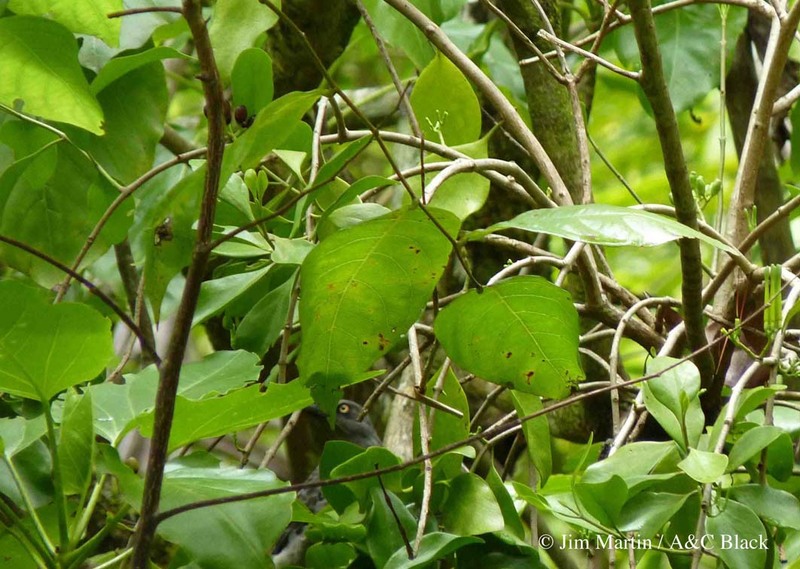 The two endemics – Rarotonga Flycatcher or Kakerori and Rarotonga Starling – just about cling on in the mountain forests. Both are very hard to find, and the starling in particular is in serious trouble. The best place in the Cooks to see land birds, by far, is the awesome island of Atiu, a forty-minute flight away. Black Rat-free, Atiuan birds are able to get on with life without having to worry too much about predators or habitat loss. 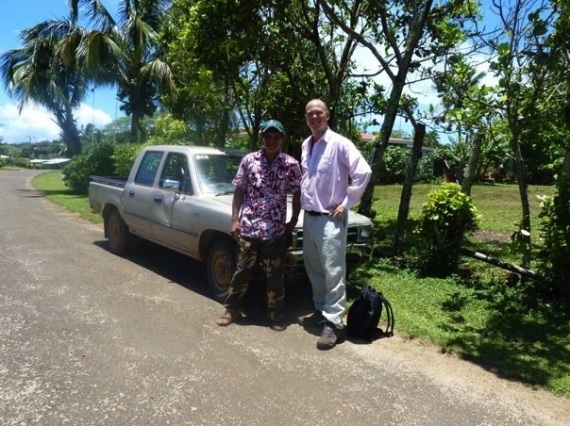 I was lucky enough to spend a day on the island in the company of local guide Birdman George. 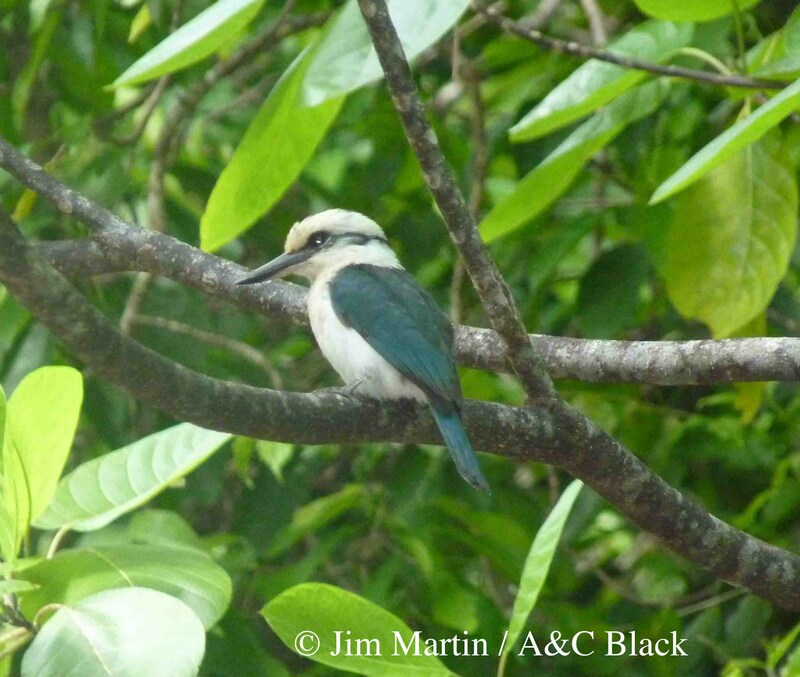 George is able to whistle up pretty much anything, from the endemic Cook Island Fruit Dove to Chattering Kingfisher via Kakerori, a population of which has been introduced to the island (and, with 150 pairs and rising, is doing spectacularly well). The star of the show, though, is the recently re-introduced Rimitara Lorikeet. This stunning parrot is also doing well on Atiu, helped by George and a few other like minded souls, who have been bumping off the mynas with poison and buckshot. They’re doing a great job. Maybe this book hold’s the clues for Jim’s fascination with that curlew.